Construction Update: Thomas Creek Grill and RJ Rockers Flight Room are OPEN! Exciting news from GSP! RJ Rockers Flight Room and Thomas Creek Grill are officially open for business at GSP, so the next time you fly through GSP, come hungry! RJ Rockers Flight Room is offering three brand new special sauces made with their most popular beers. We can’t pick a favorite, so try them all and let us know what you think! 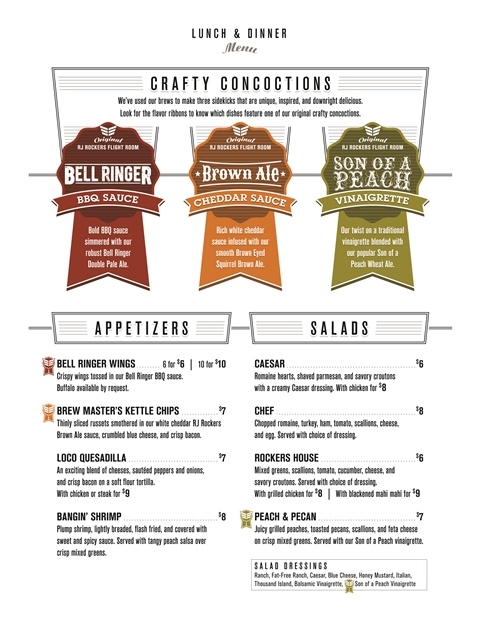 These “craft concoctions” top off their yummy appetizers, salads, wraps, and main course meals – check out the menu for more offerings! 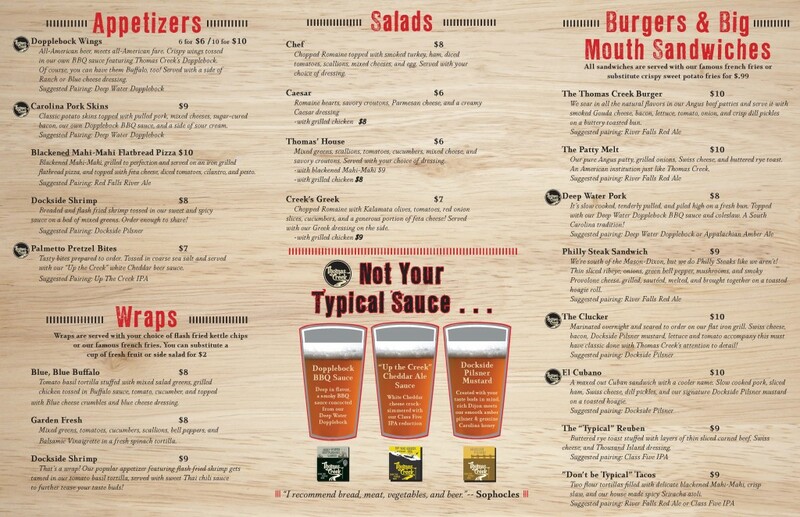 Next time you’re in Concourse B, stop by RJ Rockers Flight Room and get ready to get down with these special sauces and grab plenty of napkins! Concourse A is now home to Thomas Creek Grill, so on your way back from your destination, stop by to try their Palmetto Pretzel Bites served with their very own “Up the Creek” white Cheddar beer sauce…it’s delicious! And make sure to try “The Clucker” the next time we fly to taste the new Dockside Pilsner Mustard. With so many choices, it looks like we are going to be flying a lot more often! You can’t go wrong at either one of GSP’s newest concourse restaurants.